Marine Exhaust Systems, Inc. is the # 1 choice of boat builders and engine manufacturers all over the world, meeting the needs of the Commercial, Military and Pleasure Yacht Industries for over 30 years with customers in more than 40 countries. Marine Exhaust continues to shape the marine industry with ground-breaking innovations. By continuously improving everything we do, Marine Exhaust has earned the reputation as the technological leader in premier-quality marine exhaust systems. Whether you are in need of a custom marine exhaust riser or elbow, mufflers, fiberglass exhaust products, exhaust hose, clamps and accessories, we can provide you with the most reliable, practical and up-to-date solutions available. We understand the importance of reliable exhaust systems, extraordinary customer support, and on-time deliveries. Where would we be without the confidence of our customers? 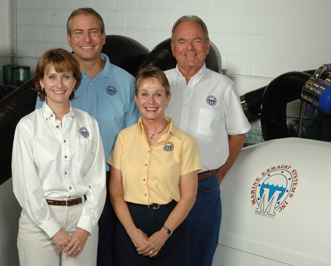 Their trust defines Marine Exhaust Systems, Inc. Backed by over 150 years combined, Marine Exhaust represents one of the most diverse, talented and innovative workforces anywhere. Holding twelve patents and more pending, we continue to meet emerging customer needs by creating designs, developing, improving and expanding our product line and services. More efficient, compact fiberglass mufflers/components and exhaust pipe cooling. First-hand knowledge of engine manufacturer’s specifications to meet back-pressure and exhaust cooling requirements – keeping your engine from harm. Meeting tight engine room constraints. As one of the only exhaust manufacturers to build both exhaust pipes and fiberglass mufflers/components, we are accountable for their alignment, cooling and sound-quality, along with their physical aesthetics – Finger Pointing is eliminated! Deep and abiding beliefs to sound uniform procedures. Fastest – Coolest – Quietest exhaust performance available! Maintain open communication with customer from start to finish! Whether it’s a telephone call or an e-mail, we will make every attempt to respond to customer inquiries quickly. Attitude – We keep it positive! It is not what happens to us that counts - it’s how we react to what happens to you, especially when you have unexpected problems of any kind. Your order will receive the same courteous attention whether it is a need for a complete exhaust package “Turbo to Transom”®, or you just need to replace an exhaust hose.